You are here: Home / Why Forgive? / News / National / Why Forgive? My own search for freedom and my years of experience as a licensed clinical psychologist have taught me that suffering is universal. But victimhood is optional. There is a difference between victimisation and victimhood. We are all likely to be victimised in some way in the course of our lives. At some point we will suffer some kind of affliction or calamity or abuse, caused by circumstances or people or institutions over which we have little or no control. This is life. And this is victimisation. It comes from the outside. In contrast, victimhood comes from the inside. No one can make you a victim but you. We become victims not because of what happens to us but when we choose to hold on to our victimisation. We develop a victim’s mind – a way of thinking and being that is rigid, blaming, pessimistic, stuck in the past, unforgiving, punitive, and without healthy limits or boundaries. We become our own jailors when we chose the confines of the victim’s mind. We can choose to be our own jailors, or we can choose to be free. That last sentence jumped off the page when I first read it because, like many of you, I have been involved in prison ministry for decades. And I will never forget the following scene. The setting is a minimum security prison not more than an hour’s drive north of New York City. Around the table are a dozen inmates who have completed the mandatory portion of their sentence for murder – 25 years-to-life – and are eligible for parole. Most are wise beyond their years, but all are serving additional time; the Parole Board deems them a “threat” to society. 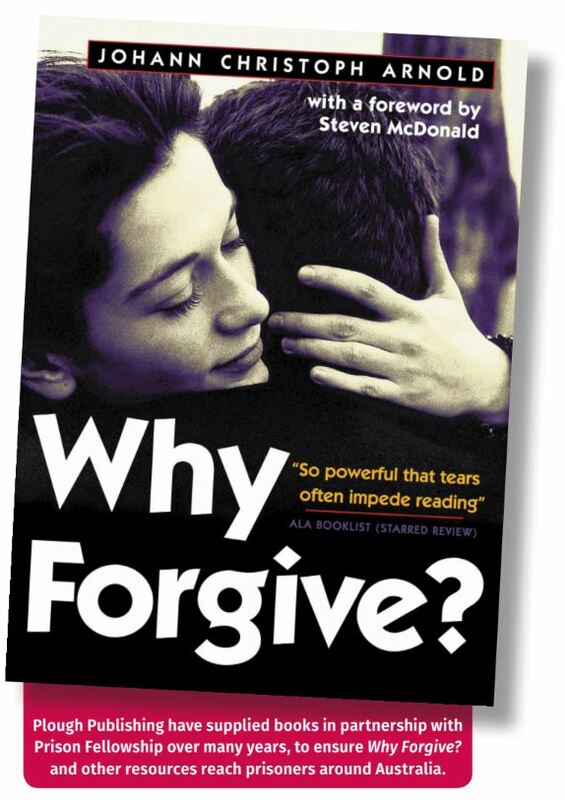 We were several months into a fortnightly book study, exploring the theme of forgiveness through the pages of the book ‘Why Forgive?’ – a collection of stories about ordinary people who chose to forgive. Tragedy struck them all full force, but they refused to remain its victims. They found that forgiveness provided the resilience to move out of the paralysis of victimhood into a new life. That man had decided not to be his own jailor; he had made the choice to let forgiveness set him free. And he was free! More free behind all those bars, walls, rolls of razor wire and guard towers than most people you pass walking down the street “outside”. I am sure that there are more stories of love and forgiveness in the world than there are stories of hatred and revenge. How long will you wait to let yours be heard? When are you going to throw your pebble in the pond and start making ripples?